With companies across the world implementing innovative practices to shake up every aspect of their operations, business schools have started to restructure their curricula and the pedagogical approaches to stay relevant while offering a more global and engaging experience to students. B-schools are rapidly changing, so are the expectations of students in the classrooms. US-based Association of International Graduate Admissions Consultants (AIGAC) highlighted in its MBA Applicant Survey last year that acquiring new information, skills and knowledge is the key consideration for prospective students when it comes to opting for a business studies programme. Advancing careers, increasing salaries and enhancing professional credential are some of the other considerations for students. 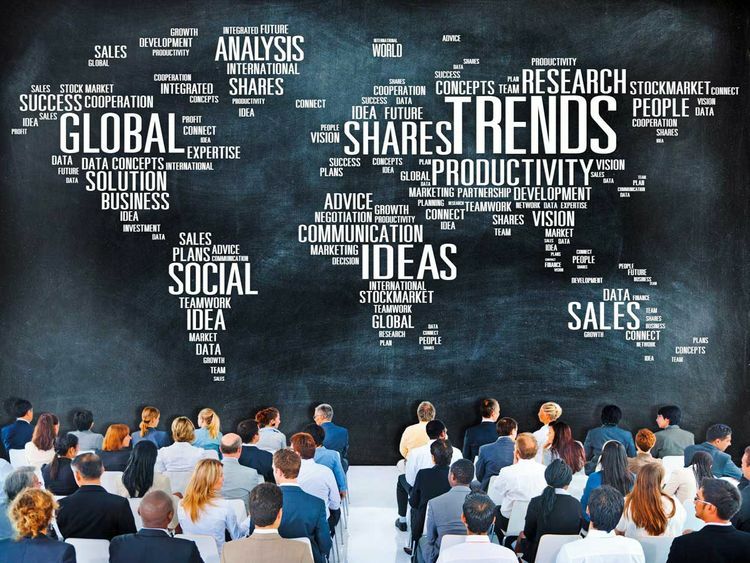 We speak to experts to track the key trends shaping business studies. The main challenge and the opportunity for business schools today lie in giving students a comprehensive understanding of ethics, responsibility and sustainability in the context of business and society. “Business leaders need to be aware of the social impact of their operations while adding value to their business and achieving strategic company objectives,” says Urs Peyer, Dean of Master Programmes and an associate professor of finance at INSEAD. One of the world’s leading graduate business schools, INSEAD offers a broad portfolio of more than 50 programmes at its campuses in Fontainebleau in France, Abu Dhabi in the UAE and Singapore. “We need to think about how we can instil values and make students aware of the issues such as sustainability, gender diversity, using technology for good and responsible leadership through the coursework. At INSEAD, we label these as business and social challenges. We need to think about how we can instil values and make students aware of the issues such as sustainability, gender diversity, using technology for good and responsible leadership through the coursework. With easily accessible and high-quality online infrastructure, students are increasingly seeking flexibility in when, where and how they pursue their programmes. “This also supports the need for more customisation as it becomes economically viable to expand the range of offerings by using digital content,” says Prof. Steve Thomas, Associate Dean, MBA Programmes at Cass Business School. Accessible and high-quality online infrastructure supports the need for more customisation as it becomes economically viable to expand the range of offerings by using digital content. most B-schools are offering students the option to choose specialisations early in the study programme to tailor their course content based on their interests, aptitude and career goals. Peyer explains how INSEAD helps learners benefit from a highly customised curriculum, allowing them to develop a unique leadership style. The popularity of blended format, which includes self-study, web-based training and face-to-face workshops, has increased significantly in the past few years as students juggle work and other responsibilities. “It is no coincidence that business education providers are delivering learning through channels and in a flexible format that reflects global business, with learners working remotely in self-study mode online, liaising and collaborating with fellow students through social and other media, and then spending short bursts of intense face to face study time with faculty and peers. This is the reality of working life for many young and mid-career executives today,” explains Bessiso from the University of Manchester. It is no coincidence that business education providers are delivering learning through channels and in a flexible format that reflects global business, with learners working remotely in self-study mode online, liaising and collaborating with fellow students through social and other media, and then spending short bursts of intense face to face study time with faculty and peers. This is the reality of working life for many young and mid-career executives today. While experts acknowledge the importance of offering flexibility to learners through the virtual format, they highlight the value of finding the right balance in the blended learning experience. “There are 50 shades of blended. We have to be careful in deciding which shade we are referring to,” says Thomas. For a business leader, the willingness to keep learning is the key to staying relevant and enhancing crisis preparedness in this complex economic landscape. B-schools are increasingly supporting a leader’s need to update skills and maintain edge over younger peers. Cass Business School’s alumni have free access to one MBA elective each academic year, including international electives that they may not have had time to join during their time on the MBA programme. Peyer also explains the importance of constant upskilling to keep pace with innovations. “When you enrol for an executive MBA, you get into a habit of continuous learning,” he says.